Because a cross-disciplinary approach is needed to tackle many of our research questions, we have forged close collaborative links with a broad spectrum of scientists, in particular archaeologists and botanists, but also GIS/remote-sensers, modellers, diatomists, and soil scientists/geochemists. We therefore have strong links with a range of institutions, not just across the UK (e.g. Universities of Exeter, Swansea, and Nottingham), but around the world; e.g. University of Utah (USA), Noel Kempff Mercado Natural History Museum (Bolivia) and the Federal University of Para and University of Sao Paulo (Brazil). We are always open for new collaborative opportunities, so please contact us if interested. 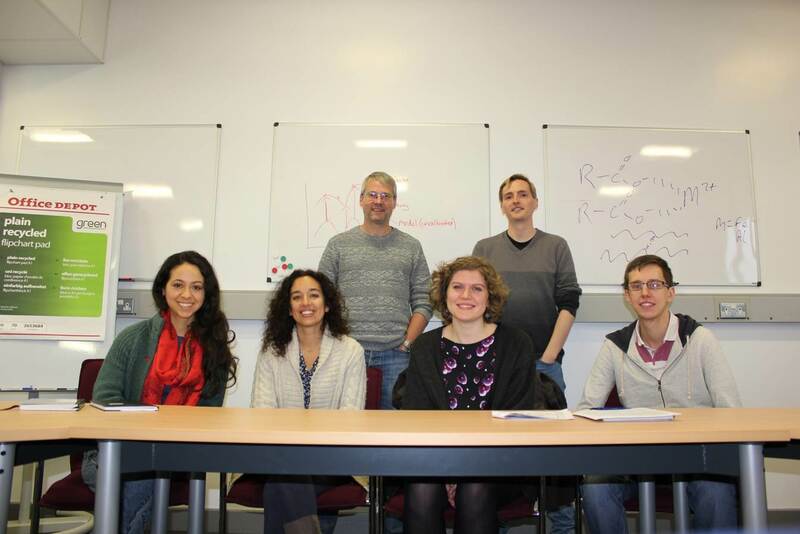 Members of the group, from left to right: Top: Prof Frank Mayle, Dr John Carson; Bottom: Dr Macarena L. Cárdenas, Dr Joy Singarayer, Heather Plumpton and Richard Smith.